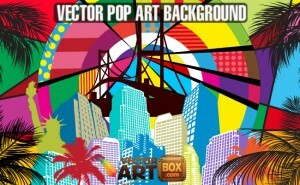 Free Pop Art Background. Background was created pop art style, not so true – but it is pop-art background! I decorated this work skylines, statue of liberty, palm trees and graphic decor elements.